With Father's Day on the horizon, this week's Big Apple Books features a father & son tale of discovering the Big Apple. 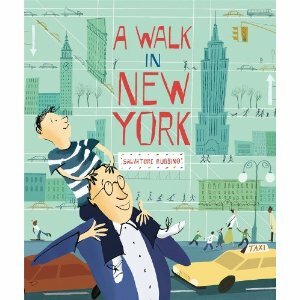 Told in the boy's first person narration, A Walk in New York is a charming look at getting to know this great city of ours. Each page features a landmark visited by the duo, and is chock full of information. For example, did you know the names of the lions perched outside the NY Public Library? Umm... I did not (answer: Patience & Fortitude), but must admit I feel smarter now that I do! Salvadore Rubbino writes, "I love the way a good story or picture can take you on an adventure and introduce you to wonderful new things." And in his first book, Rubbino does just that. I've been a New Yorker all my life and never knew about my pals Patience and Fortitude at the library! Thanks to you, I learned something new!! What a cool book, gotta check it out for my boyzz!! 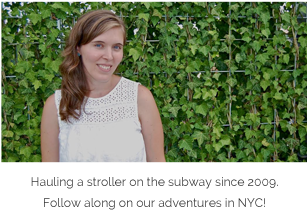 It must be such an awesome adventure, raising children in NYC. I love NYC! 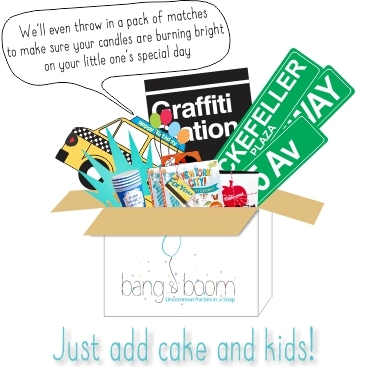 :) Also, now I have to start thinking about gift ideas for Father's Day! What a great choice for Father's Day! Bubba is totally getting that for Dada.